The Company Warehouse are one of the UK’s leading company formation agents. We have been setting up limited companies since 2003 and deal with thousands of company formations every year. Our guide to setting up a limited company covers some of the most common questions we get asked by people setting up their own limited company. This guide covers setting up a “private company limited by shares” which is the most popular type of company registered in the UK. This type of company is typically used to register a business which will trade for profit or hold assets. Before you can start setting up a limited company you need to choose a company name. As well as being unique, and meeting the company name rules, the company name you choose needs to make sense for how you want to market your new business. Limited companies can use ‘trading as’ business names alongside the company name that they register with the government. If you want to use a trading as name you don’t need to register it but you do need to follow a few basic rules. There are 4 main checks that you should do to find out if a company name is available. You have to be really careful with this as the government will only do one of the checks for you. We explain the steps you need to take to check if your company name is available. Setting up a limited company in the UK is a fairly straightforward process. We talk you through the steps involved and let you know how much setting up a limited company will cost and how long it will take. 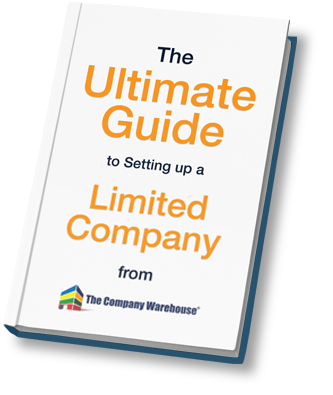 Make sure you have everything you need to get your limited company setup before you start. We detail all of the information that is required for setting up a limited company in the UK (including a link to download our handy checklist). Every limited company has to have a registered office address. The address you pick will decide the jurisdiction your company is in. Registered office addresses are public information. We detail the steps you can take to protect your privacy. Your company directors will be responsible for making sure your limited company is run correctly. We explain who can be a limited company director and how they are appointed. Limited company directors have to provide their residential address to the government and this will be put on the government website unless you follow the appropriate steps to hide it. We explain what you need to know about director addresses. The shareholders of a limited company are the ones who own it. They get a share of any profits and can vote on important decisions. Like company directors their details are public information but there are steps you can take to protect shareholder privacy. For most limited companies allocating shares is very simple but most people get it wrong on their first try. We explain what you need to do for a simple limited company setup and look at some of the more share allocations that can be done. New limited companies have to state who their Person with Significant Control (PSC) is. This is to try and stop people hiding behind nominee directors and to clamp down on money laundering, fraud and other misuse of limited companies. All limited companies have to tell the government what industry they are in via a Standard Industrial Classification (SIC) code. This code is used for statistical purposes and does not dictate what the company can and can’t do. There are two main bits of paperwork you will be issued with by the government when your limited company is registered. We explain what this paperwork is, what it looks like and what it is used for. All limited companies have to hold an initial board meeting even if there is only one company director. We explain why this board meeting is necessary and the documentation you need to have to prove it happened. Shareholders own a limited company and the share certificates show how much of the company each one owns. The government don’t provide share certificates for limited companies but you are legally required to have them. Otherwise known as the statutory registers this is a series of documents all limited companies are legally required to have. We explain what the registers are and the different options available to you for storing them.